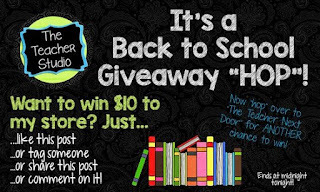 The 3am Teacher: Upper Elementary Back to School Facebook Giveaway Train Today!!! 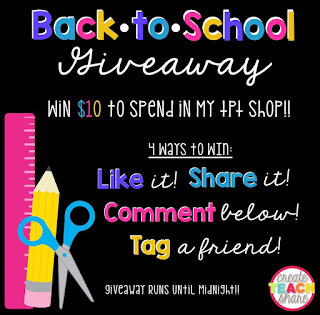 Upper Elementary Back to School Facebook Giveaway Train Today!!! I wish you all the very best! You are all winners in my book!! Click the links below to visit each page to enter the giveaways!! Good Luck everyone! 7. LEARNING WITH MRS. S.
Now for my very own little giveaway!!! 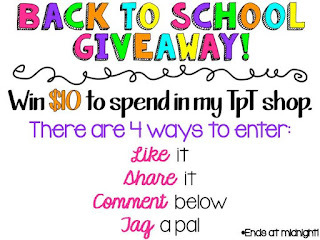 Make sure to visit each shop above and leave a comment below (include your email address) with a back to school tip and to let me know you visited each of the pages above for a chance to win a $50.00 Credit to use at ANY one of my online shops! You have until midnight (MST) to enter and I will announce a winner tomorrow! Please leave only one comment below and include your email address. Thank you for stopping by and participating! Good luck! Thank you so much and I am right there with ya on that tip! Getting and staying organized will definitely help. My helpful tip is to take time to greet each student not only on the first day, but every day. It will amaze you at how it changes your attitude and what a warm environment it creates.